On the face of it, the first round of the French 2012 presidential elections went according to script. The Socialist candidate François Hollande—who came first with 28.6% of the vote—will square off, as predicted, against Nicolas Sarkozy, the candidate of the Right who garnered 27.2% of the vote, in the second round run-off on May 6. However, beyond this widely anticipated run-off, the first round results confounded the pundits’ expectations in two important respects. Firstly, the high level of electoral abstentionism that was widely predicted, ostensibly due to the campaign’s ‘frivolous’ quality as The Economist notoriously put it, did not materialize, with nearly 80% of eligible voters casting ballots (compared to the low of 72% in 2002.) It turned out that French voters had indeed been engaged by the campaign and sought to make their voices heard on election day. Second, and perhaps more significantly, the advent of the anticipated run-off between Hollande and Sarkozy masked a surprisingly large ‘protest’ or anti-system vote. With a combined total of 29% for Marine Le Pen of the extreme right Front National (18%, the party’s best ever result) and Jean-Luc Mélenchon of the far left Front de Gauche (11%)—a total which climbs to over 30% if one includes the other candidates of the far left—nearly a third of French voters cast their ballots in favor of candidates who explicitly reject the current national and European policy consensus. These results are even more striking when they are broken down by occupational category. 55% of industrial workers and 43% of white-collar workers voted for these anti-system parties, with the FN’s Marine Le Pen in particular receiving the greatest amount of votes among the former (33%) and tying with Hollande for the most votes (28%) among the latter. This would suggest that a growing swathe of la France populaire—the working and lower middle class losers of globalization and European economic integration—oppose the policies of economic liberalization and social retrenchment that have been advocated by the French and European political elite over the past three decades. This evolution is highlighted by the fact that a sizeable proportion of voters who pronounced themselves for the candidates of the mainstream parties in 2007 voted for protest candidates in 2012, with 16% of former Sarkozy voters going to Le Pen, and 12% of voters for Ségolène Royal, the Socialist candidate in 2007, going to Mélenchon. What does this disproportionately large ‘protest’ vote mean, both for the second round run-off and the June parliamentary elections, as well as for the governing project of the eventual winner? In terms of the second round, the strong score realized by the fringe parties increases the uncertainty of the outcome. In order to win, both Hollande and Sarkozy need to respectively glean the votes of the Front de Gauche and the Front National, while garnering centrist voters. This will be probably more straightforward for Hollande, with Mélenchon and the other far left candidates calling for their voters to transfer their preferences to him in order to ‘defeat Sarkozy,’ than for the latter, whom Marine Le Pen has explicitly targeted and whose defeat she is hoping for in order to buttress the FN’s position at the expense of the president’s party, the UMP. In order to secure these frontiste votes, Sarkozy is going to have to move even further to the right on the issues of immigration and security of concern to FN voters as well as to address their fears regarding globalization and Europe, while finding a way to appeal to culturally tolerant and economically liberal centrist voters. Accomplishing this feat of electoral prestigiditation, particularly given that up to April 22nd Sarkozy had presented himself as the orthodox guarantor of France’s economic status in the EU and eurozone, will be a tall order. This is why, other things being equal, Hollande remains the odds-on favorite to prevail in the second round. In turn, with respect to the upcoming parliamentary elections, while most candidates for the Front de Gauche are likely to rally Socialist electoral lists in constituencies where failing to do so would result in victory for the right, the same logic is unlikely to apply to the latter. Indeed, on the back of Marine Le Pen’s strong showing in the first round of the presidential election, the FN is planning to compete in as many parliamentary constituencies as it can as a means to lure vulnerable candidates from the mainstream right into joining FN-dominated electoral lists. With Le Pen coming first in 23 constituencies, second in 93 others, and exceeding the 12.5% barrier required to accede to the parliamentary elections’ second round in 353 out of 577 parliamentary constituencies, the FN, especially should Sarkozy go down to a heavy defeat in the second round of presidential voting, might well be positioned to split the UMP and provoke a seminal recomposition of the French right. 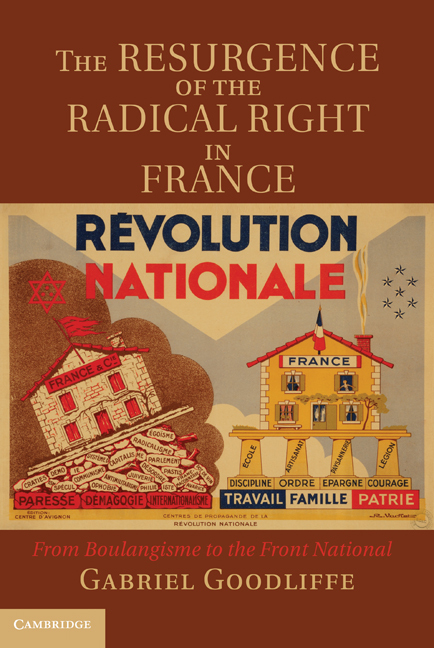 Thus it would realize Le Pen fille’s avowed goal of establishing the FN as an indispensable, king-making force within the French political landscape, thereby transforming it from the rambunctious fringe party it had been under her father into a responsible potential party of government. Finally, what do these results bode for the policy program that will be espoused by the winner following the May 6th second round vote? The clear warning of the first round is that an uncomfortably large number of French voters are unhappy with the country’s economic and social course. Most notably, the result strikingly illustrates that the current government’s policy of austerity as a response to the European sovereign debt crisis is politically unsustainable. Should he be elected, François Hollande has already indicated, through his pledge to renegotiate the terms of the European stability pact, that he plans to abandon the current policy of austerity for a reflationary policy bent on growth. And even Sarkozy, though responsible for the current austerity program, is now being forced to backtrack from the latter, while calling for greater protectionism, state intervention and even reflation in order to address the economic malaise. When combined with external ructions against this German-imposed formula of lockstep austerity, the latest being the Dutch government’s collapse over its failure to pass an austerity budget over the weekend, it will be fascinating to see how the financial markets, and by extension France’s European partners, react after May 6th, particularly should Hollande, as predicted, emerge the winner.